Thank you for letting me travel to Pakistan! Pakistan had always been a reality to me, unlike for some people who couldn’t believe that there was another nation carved out of the Indian subcontinent. But for me, it was just another nation that existed before I was born. In 2007, I chanced upon a scholarship to finish a part of my semester in Kinnaird College, Lahore. Lahore fascinated me ever since. It was in Lahore that Sahir Ludhianvi (my favourite lyricist) spent his romantic years; where Jaun Eliya (my favourite poet) struggled through his life, and Saadat Hasan Manto (my favourite writer) passed away. While my only fear was what the city would offer to a vegetarian, as I packed my bags to leave, my family and friends were very concerned for my physical safety. Just days before I was to enter the alluring city, due to a spat between the heads of states of India and Pakistan, all visas (except diplomatic visas) were cancelled. That was the closest I had come to experiencing Pakistan. Three years later, another scholarship took me to the US, to complete my studies. I had never thought that a scholarship that was funded by the governments of the US and India, would bring me closer to Pakistan. On the University of Colorado Boulder’s beautiful, lush lawns, 25 students from across the world, who had been granted the same scholarship, gathered and spoke in hushed tones about the upcoming introductory seminars. From the corner of my eye, I caught one gentleman giving me a long, thoughtful look. From the colour of his skin, I could tell that he was from my part of the world, but his shy, almost withdrawn nature made me nervous about approaching him. I extended my hand. Under his beard was a smile and look of unmistakable intelligence. Soon, we realised that not only were we about to attend the same grad school, Columbia University Graduate School of Journalism, but that we would also be living in the same building! That introduction was the beginning of a beautiful friendship and also the reason I forged many other precious friendships during my stay in the US. Bilal introduced me to Sana, a bubbly Pakistani woman whose laughter resonates long after she has left the room. As time passed and we settled into our routines (which involved going to school, working late and spending weekends catching up on sleep), we realised that our calendars allowed for spending time together. On most days, the three of us dined together. We visited Times Square and the Statue of Liberty, and ate tonnes and tonnes of South Asian food while chatting mostly in Hindi. It is interesting how certain situations and places can highlight different aspects of one’s identity. In New York, Sana, Bilal and I were no longer from the two warring nations. We were students of Columbia University, who shared food, culture and language as opposed to several others from different parts of the world. When Sana called us each evening, Bilal and I immediately knew the agenda: we would order a large pizza with jalapeno peppers and pineapple, and sit on Sana’s bed listening to stories about her childhood. We watched American and Pakistani sitcoms, and laughed well into the night. Today, months after graduation, there is a bond between us that goes beyond all barriers, in spite of the fact that we are separated by what some call the impermeable borders between India and Pakistan. As I now plan a visit to Pakistan to meet Bilal’s new bride and gang up with Sana for a hiking trip on the Margalla Hills, I hope someday the history will remain deeply buried and never return to haunt us. Just wait………….They will start again Kashmir!Kashmir! Water! Water! I hope if Pakistanis come here ,they have a good time. It was really a nice feeling reading your article. I dont understand why the Indians dont join Pakistan and solve the Kashmir problem, seems it is hurting Indians as much as Pakistan. Why not decide to sit down and thrash out a solution acceptable to all three sides and not get out of the room until it has been decided? After all if the partition of India into 2 parts could have been worked out, why cant we settle the Kashmir issue because only then can people like myself truly feel sincerely friendly towards Indians. I am held back from being more proactive and friendly with Indians because of the lingering thought of our Kashmiri brethern suffering and dying to be free. In such a situation, only extremism will breed, it will gve the forces of hatred a free hand, it allows the unemployed youth to fall prey to the hands of the religious brigades. I just dont get it why India refuses to discuss, they don’t have to enter talks with any pre conceived agenda to browbeat Pakistan, just have a single agenda that is to settle this issue which is acceptable to all three sides, for this all three will have to give up something but what each one will gain will be a thousand fold, the dividends of peace will be beyond anyones imagination as goodwill flourishes amongst a billion and a half people and we start to visit, vacation, do business, enter into commerce, from one end of Pakistan all the way to Bengal and Sri Lanka via India. You cannot imagine the benefits, everyone in the region can improve their lives, we can say good bye to poverty as trade and tourism lifts people out of poverty everywhere in the region. Just have to have the sincere desire to solve the Kashmir issue. @T Shah: Why your uneducated citizen should fall prey into hand of extremist?be kind enough to tell us.why you guys always choose the path of terrorism to solve internal matter?isn’t Kashmir is a state affair.if you like to go according to two nation theory ,How about we thrust 20 crore sizable indian muslim population into pak and BD.R you ready for that?You can not even think of getting territory from the grip of country like India. “as it will take a single Pakistani general to decide Pakistan is going down because of some Indian conspiracy and decides to turn all of India into a green glowing nuclear radiating land”. I think Kaalchakra, Lalajee, Anatanu …. and few of the other commentators who have a negative view of India need to visit the country. I am sure some of the Indian commentators here would be more than eager to host them! Speaking for myself, I do not have a negative view of aam Pakistanis. I do have a negative view of Pakistan’s revisionist policies and some specific hate mongers such as Hafiz Saeed, Hamid Gul, Zaid HAmid etc. -there is a difference. I also believe that ET provides a good forum to get information and give information and so when I come across factual inaccuracies that maybe the result of incorrect textbooks or just flat out lies that were told to you by your establishment, I provide additional information. I however do not see myself as some guru giving gyaan. I am also here to learn. There are many Pakistanis whose posts I read with great interest because they provide information and a different perspective. This includes people like Lala Gee, Falcon and elementary with whose views I do not always agree with but who provide logic and thought process to back their opinions and who have been good enough to discuss issues in a civil manner with me (moderators permitting ofcourse). Also having read the posts of some of the others to whom you refer, I would imagine that they probably have a similar approach and no outright dushmani with Pakistan. When Pakistan becomes safe for travel, I would like to visit it since I have already been to Bangladesh, Nepal, Sri Lanka and China (our other neighbours). Pakistan should get rid of Nukes, or at least downgrade them, we could also stop competing with India in the arms race and spend that money wisely on our people, else we are going to fall over the precipice and end up destroying the entire region as it will take a single Pakistani general to decide Pakistan is going down because of some Indian conspiracy and decides to turn all of India into a green glowing nuclear radiating land. Dude seriously? you seem to be having a lot of time in your hands to review each ET blog and then spew your hateful venom almost every other day .. Can you just stop doing that via our websites though? To put the record straight, I have nothing against Pakistanis or Pakistan. I’d love to visit Pakistan some day and go on some nice treks in one of those beautiful mountain ranges there. When I was in Dubai, I had made many Pakistani friends and we are in touch even now. I was even amazed to see some Pakistanis speak fluent Tamil in one mobile shop in Bur Dubai. When asked, the guy said, many of my room mates speak Tamil and I picked up from them. Another time, I met a cabbie from Nowshera who had a room mate from Chennai and thus had some fascination for tamil songs. It was really eye opening experience. But, what I am really dismayed about Pakistani is their ability to distinguish between right and wrong. Often, I find this warped completely. What is universally held as right does not seem to be so in Pakistan. I don’t know how many of you think is this is a serious malady of a society, but in my book, this is a huge one. Another thing that comes as a wall between our countries is the complete lack of empathy from Pakistan. We all know 26/11 happened in front of TV cameras. I don’t care if Pakistanis arrest or punish the perpetrators of the attack, but, at least, I want them not to deny it, saying this a RAW conspiracy or Bollywood production. Please acknowledge it and if possible, shed a tear for those killed, When you deny saying such things (often portraying yourself as a victim), it makes us think you are not only insensitive but also heartless. Whenever there is an attack due to islamic extremism, in India or elsewhere, please come out to streets in big numbers in support of those families of victims. Then the whole world will appreciate you and your goodwill will go up. Then we all will be queuing up to visit your country to say how much we value you and how much we want you in our midst. i feel pity for people like you who come out of nowhere to spread same things every where . just get out of that phase and try to broaden your vision .you just watch indian tv’s with no credibility and start speaking every where .believe me reason behind all that fuss is your media .who works to ignite the fire not to present reality .and sad thing is that you people believe them ..
….And maybe the BlackJack, John b, gp65, nitish, Vickrams etc who have a negative view of Pakistan need to visit this country. Mr Nitesh I dont want to get into an ugly conversation with you because the topic is so pleasant, but let me remind you, if you read Indias history, its size never prevented much smaller nations and armies from conquering it over and over again, may I remind you, that almost every invading army came from the west of India, and the last time Muslims decided to attack and take over India, they faced overwhelming odds, but they succeeded, sometimes the first time, sometimes it took 1 tries, but you are speaking just like the Hindu Generals used to boast, when Mohammed Bin Qasim, or Babur were heading towards them, the Hindu Generals used to laugh and boast at the size of India and the invading armies, but you know what happened, I dont have to write it for you. Where Nukes are concerned, area and mass mean nothing, a few well placed Nukes will make the entire country a wasteland for 50,000 years, there will be no tourisim, no trade, no foreign investment, it will be utter chaos, nothing will grow, there will be black rain, millions upon millions will die, there wont be enough survivors to bury the dead so disease and afflictions will rise, people will run away from ground zeros, causing traffic nightmares and bottle necks, every edible item becomes poison, Pakistan my friend has nothing to lose in comparison, we are a small country, most of it is rural, and we have mountains, then there are fellow Muslim countries that will take in people. Where will you emigrate? China? Thank you – I think you mean well, and would frankly be delighted to visit Pakistan. I have worked with Pakistanis in the Middle East and in Hong Kong, and interacted with some exchange students from LUMS, and saw them all without exception to be friendly, simple people who find it very easy to get along with us Indians and most often do. This automatically begs the question, then why not at state-to-state level – and why are the grist mills in Pakistan still working overtime to paint India as the aggressor when we are quite happy to ignore your existence if you can just promise to do the same. 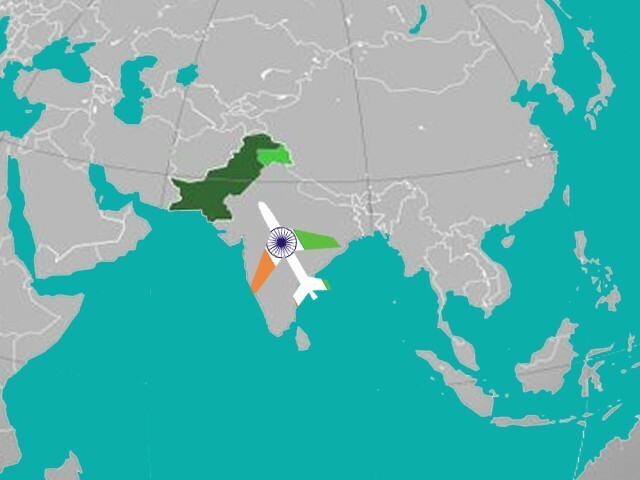 We have a negative view of Pakistan’s policies towards India because of bitter experiences that were largely not of our making, but there is an inherent similarity between us that makes this ineffable antagonism all the more fascinating. I visit ET to find an answer to this question, and to others that occur to me with the increased exposure and information that I receive from people like you – and to share my thoughts. There are many ETizens from Pakistan like Ejaaz, Mirza, LoneLiberal PK (not an exhaustive list), who are capable of a high degree of rational thought, and exiting this forum would find me the net loser. Sir, diversity is in the blood of Indians. Pakistan lost it somewhere. @T Shah:So your ideal is Babur and Bin quasim who enslaved your mother and sister and forced them to convert from hindu to muslim.But mind you mister ,after all those difficult time ,we survived with our religion and ethnicity.We r still hindu with the culture of our land.we were able to free you slaves from the hand of mughals and Britishers.We have learnt our lesson.But it seems that after spending long period of time under slavery,you guys became addicted to that.Now u r slave under US.Next is china . what you r giving the lecture on the devastating impact of nuclear attack.We all know that.where did the japanese ran away?No where.They were there to face it .and they faced it.now japan is one of the developed nation.like wise we r here to face. we will stand united to face the difficult time.The cowardliness which you depicted in your comment that you ran away during nuclear attack ,that is the reason why your country is in such a mess.you guys can never face difficult time. that is why every country is throwing out pakistani citizen.You can never build your nation. wonderfull piece. welcome to pakistan, you will have fun. Indians have already sold future of sub continent to their western gods. They are these days flying too high up in the air because of few temporary call centres thrownaway to them they are not more then lap dogs to gora s. I feel don’t take their comments they are too encouraged these days. It’s their genetic fault which is traditional slavery mentality and copying west and flattering gora all over the world. They live in the imaginary world of bollywood where they pretend London is Mumbai and they also pretend the who world think the same! This is not in connection with your verbal duel with @nitish, but with certain interesting points that emerge from your post. I assume that you got found anecdote of the Hindu Generals with the quirky sense of humor from your local mullah’s Ghazwa-e-Hind DIY manual – otherwise, I don’t think anyone finds the concept of an invasion funny. Arab barbarians defeated armies across a large swathe of land, just as Persian and Greek armies did before them. The rulers were small in size and weak in preparedness, and paid the price with their lives and honor. Muhammad bin Qasim did not invade India, he invaded Sindh. Ghazni invaded W. Punjab and set up base in Multan. Ghori set up base in Lahore and then defeated Delhi. Clearly if the erstwhile rulers of the area comprising Pakistan weren’t so weak, the rest of India would not have suffered. I would definitely love to visit Pakistan soon. I am also keen to meet the people there. I live the same experience everyday. I am a Pakistani and I have many friends from all the parts of India. We share some of the best moments that the weekend has to offer togather. No actually Urdu is a beautiful blend of Arabic, Persian and Hindi.